What type of holiday cards do you send out each year? Do you send out a newsletter full of all the great things you’ve done in the past year? Do you send out a family photograph with well wishes attached? Or do you create a handmade Christmas card with a carefully crafted note? No matter what you do, you spend time and effort on each card that you send. And usually those cards are only displayed for a short time. 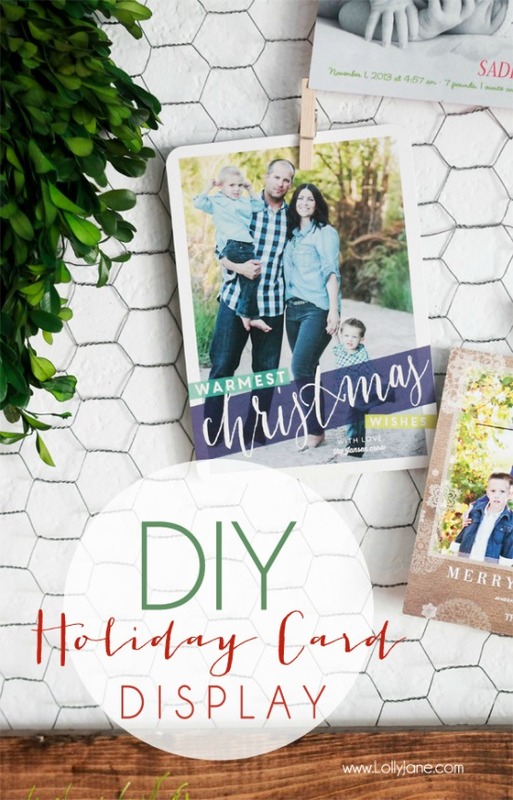 Show your family that you care about the cards they send by creating a beautiful holiday card display that could stay up for weeks (or months) after the holidays have ended. 100 Days of Homemade Holiday Inspiration continues with Day 91! Each day we are inspiring you with recipes, decorating ideas, crafts, homemade gift ideas and much more! I love this display! It’s simple, elegant and easy to assemble (my type of project)! 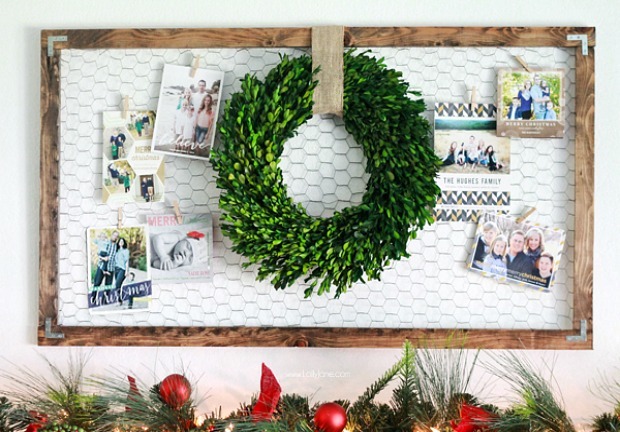 This could be rotated with family photographs after you’ve removed the holiday cards, projects the kids bring home from school or even mementos from memories you have created over the course of the year with your family. Thanks to Kelli and Kristi from Lolly Jane for sharing this beautiful project with us for our 100 Days of Homemade Holiday Inspiration!